The exhibition ÖGONSTENAR / Apple of my Eye with 33 pieces in 33 different materials by 33 artists, is a collaboration between Sofia Björkman PLATINA Stockholm, Pia Stael von Holstein and Staffan Bengtsson from Gallery Kammaren. The participating artists are active in Sweden. The exhibition was premiered for the newly opened Gallery Kammaren in Lund, December 2017. During the spring and summer of 2018, it has also been exhibited at VIDA Museum & Konsthall, Öland. In the jewellery art today, we see a flow of techniques and material choices. The exhibition Ögonstenar/ Apple of my Eye shows its riches and the chosen pieces are dominated by one specific material. 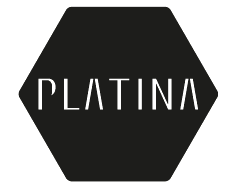 Since the start 1999, PLATINA gallery and studio in Stockholm has shown contemporary art jewellery. Gallery Kammaren is newly opened gallery in central Lund, Sweden and is run by Pia Stael von Holstein and Staffan Bengtsson. Pia Stael von Holstein, who also have her office in the Gallery, is an antique expert with a big interest in jewellery. Many recognize her from the popular Swedish Television program ”Antikrundan”. Staffan Bengtsson is a writer and film maker and known as a broadcaster for television programs about design as for example "Bästa Formen". 2007-2010 he was the editor in chief for the design magazine FORM.